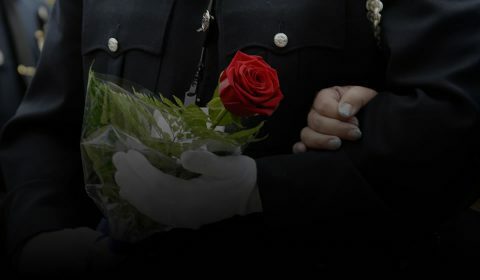 The California Peace Officers’ Memorial Foundation (CPOMF) updates the Honor Roll pages of our website upon the determination of an “In the Line of Duty” death. Upon the death of a California peace officer and concurrence by CPOMF’s President, Enrollment Committee Chair, and Executive Director, the officer’s name is added to the Honor Roll page within 24 hours. If additional information is needed or not available for determination purposes, action is held until the next regularly scheduled CPOMF board of directors meeting. If a recommendation is made by the CPOMF Enrollment Committee, a vote is held by the board of directors and, if approved, the officer’s name is then added to the Honor Roll page. A CPOMF Enrollment Form must be completed and submitted by the fallen officer’s employing agency and signed by the Chief/Sheriff/Commissioner prior to formal enrollment on the California Peace Officers’ Memorial Monument at the State Capitol. 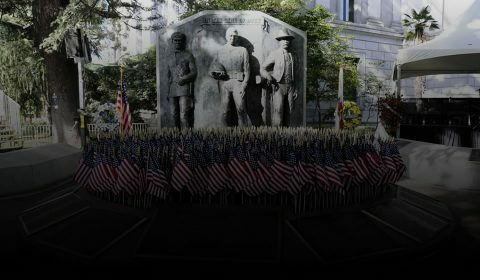 Officers’ names are added to the California Peace Officers’ Memorial Monument once a year, just prior to the California Peace Officers’ Memorial Ceremonies held during the first week of May. Newly enrolled officers are honored and recognized at the formal Enrollment Ceremony. A CPOMF Enrollment Form must be on file for ALL honored officers by December 31 to be considered for inclusion on the Memorial Ceremony the following year. The following guidelines have been formulated regarding the officers whose names will be enrolled on the California Peace Officers’ Memorial in Sacramento. The peace officers enrolled shall include all those peace officers enumerated in P.C. 830 et seq., at the time of death. injuries as a result of exposure to hazardous materials. Injuries or illness described in “c” and “d” above shall require a qualified medical doctor’s written opinion or court finding that the injury or illness was a direct result of the incident(s) in question and directly lead to the death of the peace officer. In no case shall a person be enrolled if his/her death was substantially caused by his/her own gross negligence; gross violation of law; or gross violation of departmental policy. All requests for enrollment must be submitted along with adequate documentation by the deceased’s law enforcement association or employer and supported by both. 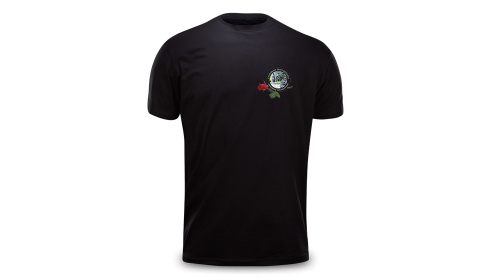 In incidents of death not specifically described above, the case may be submitted to the California Peace Officers’ Memorial Foundation for review and evaluation; however, the above guidelines shall govern all decisions of the Foundation. It should be noted that the death of an officer while “on duty” does not create a presumption of an “In the Line of Duty” death and each application for enrollment will be evaluated on its circumstances and supporting documentation. Criteria for including an officer’s name on the California Peace Officers’ Memorial are separate and distinct from the line-of-duty death criteria used by other entities or programs, including local and national law enforcement memorials and the Public Safety Officers’ Benefits (PSOB) Program, U.S. Department of Justice. Acceptance for inclusion on the California Peace Officers’ Memorial in no way impacts decisions made by the federal government regarding the awarding of PSOB benefits.